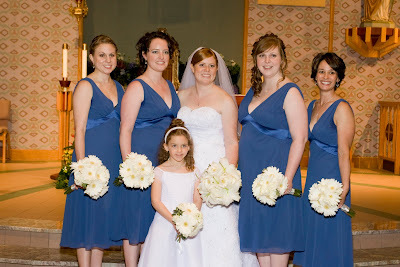 These two weddings both had blue and white colors schemes. 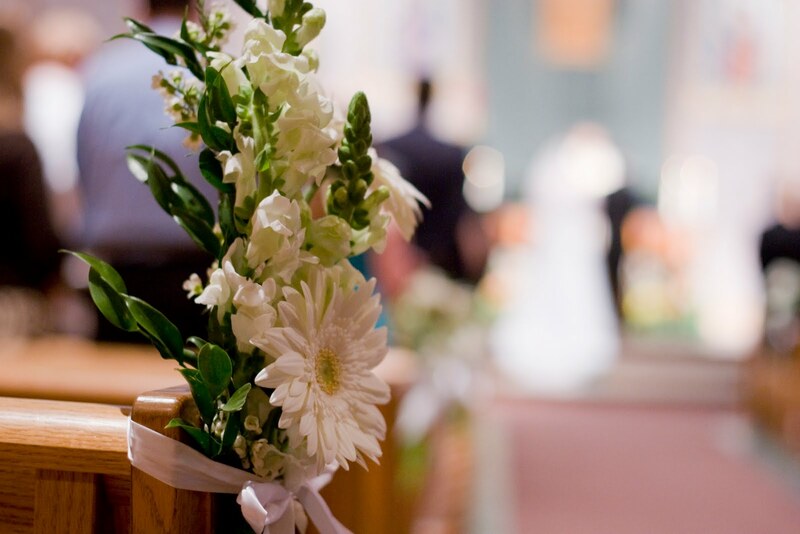 Take a look at how the flowers and accent colors are used in different ways. Emily was married this past April. Her bouquet was an all white mix of lilies and other garden flowers. 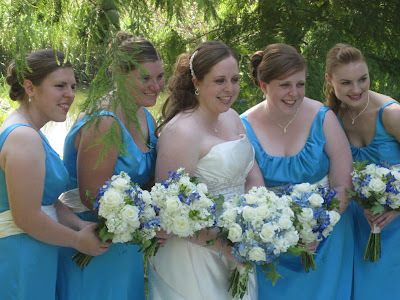 All of Emily’s attendants wore blue and carried all white bouquets as well for a very classic, clean look. 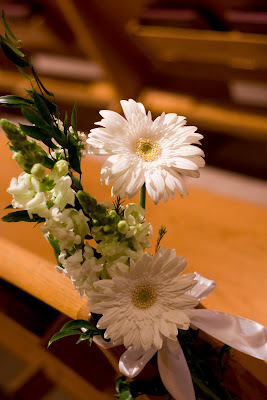 The aisle decorations at Emily’s wedding carried through the clean, all white look. Mary’s wedding was this past August. 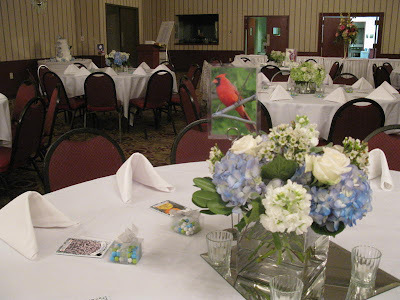 She also used blue and white as her wedding colors. 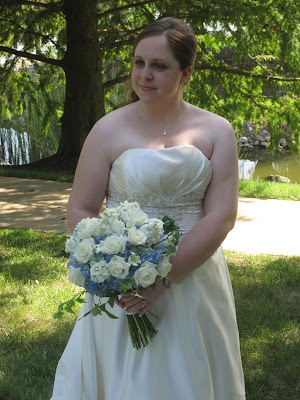 Her bouquet was a loose, lush bouquet in whites and blues. 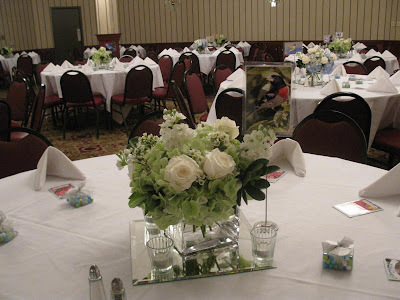 At her reception, Mary opted for lush, gardeny cube vases–some in blue and white and some in green and white. Even though both Emily and Mary had very similar color schemes, they used the colors of the flowers in different ways. It was a pleasure working with both brides and their families! !